The La Pinta Beach Club is an award-winning resort located in south Tenerife, one of the fascinating islands in the Canary Islands. 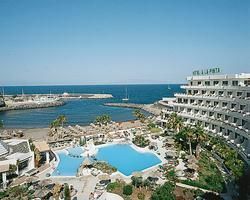 It is a first-class resort and with Tenerife timeshares for sale, you can own your vacation in this desirable location. The resort provides high-quality accommodation, facilities and service to its guests, and by owing a timeshare, you get a luxury vacation in Tenerife for a fraction of the amount it would ordinarily cost. The resort is located on the beach at Torviscas. It has two large swimming pools with lounge chairs, a children’s play area with a splash pool and an indoor and outdoor restaurant, along with a game room, reading room and squash court. You will be within walking distance from the top shopping centers, bars, restaurants and live entertainment as well as all the popular water sports. La Pinta Beach Club offers three sizes of apartments, including a studio, one or two-bedroom unit with a fully equipped kitchen, beautifully decorated rooms and a private balcony overlooking the sea. Your unit will have a TV and VCR, safe, telephone and baby facilities on request. Tenerife timeshares for sale at La Pinta Beach Club give you the opportunity to own your future holidays. Not only will you and your family have an affordable first-class vacation every year, you can trade your unit for a comparable one at a different location. For example, you may want to spend your winter vacation skiing or viewing the galleries in New York. Tenerife is the largest of the Canary Islands and has a varied landscape that includes rocky coasts, volcanic mountains and fertile valleys along with the world-famous beaches. The island is suitable for hiking and biking, exploring and seeing unusual wildlife. On the days you want to rest, you can relax by the pool all day and walk to the top nightclubs in the evening. La Pinta Beach Club is near the Playa de las Americas, the center of the best nightlife in the Canary Islands. Whether you want a romantic getaway or a full family vacation, owning a timeshare at Tenerife will never disappoint. Contact La Pinta Beach Club Specialist Today! Days: Friday, Saturday, Sunday, Monday / Time: 5:00 P.M.